Urban microbiomes and urban agriculture – microBEnet: the microbiology of the Built Environment network. About half the human population now lives in urban environments. In 2008, populations of more developed nations were about 74% urban, while about 44% of residents of less developed countries lived in urban areas. It is projected that 70% of the world population will be urban by 2050, with most urban growth occurring in less developed countries. While there are many benefits to urban living but there are also challenges that arise, such as stress, crime, traffic, pollution and sanitation. As people moved from rural to urban populations in more developed countries during the 20th century, the incidence of asthma rose dramatically. At the same time, the incidence of asthma was much lower in rural communities and in less developed countries. These observations suggest that there may be some health benefits from rural living, such as exposure to microbes and allergens. For example, children with the highest levels of exposure to specific allergens and bacteria during their first year are less likely to have allergic sensitization, suggesting that exposure to high levels of certain allergens and bacteria in early life might be beneficial. Urban agriculture has grown in popularity and has the potential to benefit human health and environmental sustainability. In addition to nutritional benefits arising from the consumption of fresh vegetables or eggs, these backyard gardens may provide some additional benefits of rural life for city dwellers. 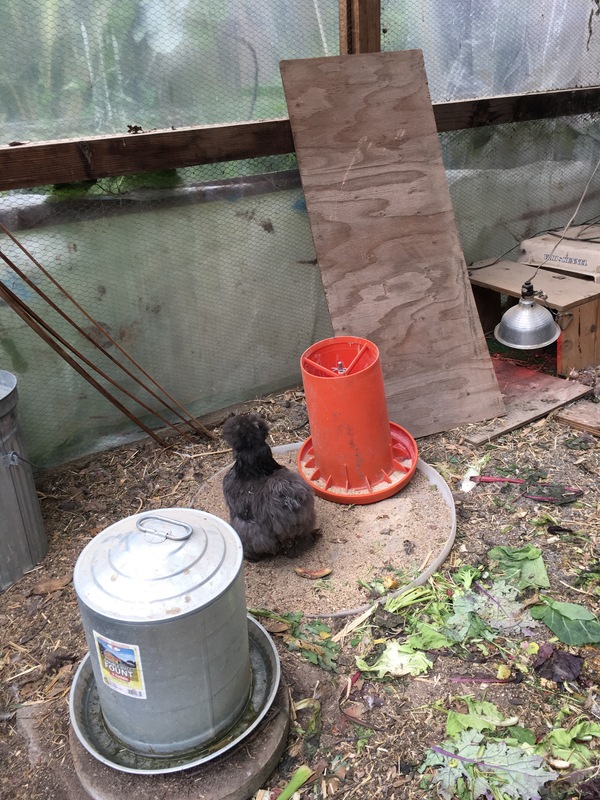 Keeping a garden or backyard chickens increases the level of backyard use and exposure to microbes associated with soil and plants, as well as chickens. At this point, we know very little about the microbial consequences of urban agriculture but this is an area of growing interest. An interesting book chapter was recently published on “Urban Microbiomes and Urban Agriculture: What are the connections and why should we care?” Here the author argues that while much of the research on microbial assemblages in the built environment provides compelling examples of the importance of microbes, these studies provide an incomplete picture of microbial distribution and activity in urban systems. In addition to microbial assemblages within buildings, urban microbiomes also include assemblages associated with exterior environments, such as building surfaces, roads, urban soils, the phyllosphere of plants, animal and human waste, water distribution systems, drainage systems, streams, and other aquatic habitats. These relatively unexplored environments include backyard gardens. By taking a broader view of the urban microbiome, the author promotes a greater understanding of the roles played by microbes in cities and connections within the urban microbiome. Although it is not open access, it is definitely worth a read. I am curious – do they discuss at all how they define urban? I have been wondering about this as I see more papers and studies about urban microbiomes. Is there some sort of transition we might expect as one goes from rural to suburban to urban in regard to microbiomes? And do they discuss at all if there are differences in microbiomes along such gradients? The scientific community is starting to recognize the potential for urban agriculture to address the issues listed above, and a social movement in urban agriculture is already well underway. To be successful, this social movement also has to be embraced by public health officials, residuals managers, municipal governments, as well as the people who actually plant the seeds. Right now, urban agriculture is many things to many people. At a minimum it provides fresh tomatoes for salads and sandwiches for urban growers during hot summer months. From a broader per- spective, urban agriculture has the potential to revolutionize our food systems, rein- tegrate both knowledge of and higher-level ecosystem services into our cities, change how our children learn, and have a broad impact on public health. The recent rebirth of urban agriculture began primarily as a social movement. With these two volumes we explore urban agriculture from a broad perspective. We hope that these books can encourage and inspire the broad range of individuals who stand to benefit from urban agriculture.